Thanks to Cathy Mere (@cathymere) and Mandy Robek (@mandyrobek), August 10th is a special day for teachers and book lovers everywhere. It’s 10 for 10 Picture Book Day (#pb10for10)! I’ve decided to share my top 10 (ok, maybe a few more…) favorite read alouds for the first days of kindergarten. These are mostly old favorites, but they are loved, read and reread throughout the year. I find these books a perfect mix of nonfiction, fiction, wordless and repetitive text that draws readers in from the first day of kindergarten and leaves them begging for more after the first week. Enjoy and happy reading! What are your favorites for the first week of school? Please share! A favorite nonfiction text that kids love to read and guess what animal is in the picture. We love Todd Parr. This is a great book to start the year with. We live the mantra, “a mistake is a chance to learn something new”, and this book helps me teach this from day 1. A very fun book that helps children see that they can read the pictures as well as the words. The repetitive text and detailed illustrations help children begin to tell stories and understand that they are readers – reading the pictures and the words. We love, love, love this book! 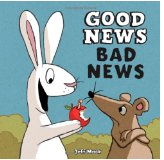 It’s a great story that begs children to guess what will happen next and to join in on the refrain. A class favorite throughout the year. A good nonfiction book with fabulous photographs and a simple text line to read aloud. Children love this. And after I introduce Mrs. Wishy-Washy, they love that Joy Cowley is the author of this book, too! A good partner to the Red-Eyed Tree Frog, with rich photographs and a simple text line. Children are extremely engaged in this nonfiction text. A timeless classic that helps me teach the important lesson of “team”. We are all in this together and we are here to help, support and love each other. It’s a must-read for the first week of school. 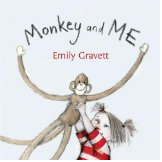 A fun read aloud for math workshop. Rhyming text and silly pictures pulls kids in and gets them excited about books and math. This repetitive text is one that children love. They will read it along with you and beg for it to be reread. A favorite throughout the year. A simply wonderful wordless picture book that helps me teach that reading can be reading the pictures. Children love the adventure the characters have as their chalk drawings come to life. Who doesn’t love Pete the Cat? The book, the song, the characters and the authors…they are all a big win in kindergarten. The message of, “it’s all good”, is one that we revisit often throughout the year. A classic, that children just love. 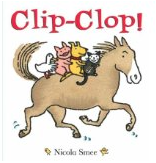 Skit, skat, skoodle doot, flip, flop, flee – who doesn’t love repeating that line? I launch our writer’s workshop with this book on day 1. The author’s notes in the front cover show children how David Shannon got his ideas for this book. We start making books on day 1 – just like David Shannon.